Description: Beretta 691 Vittoria 12ga. 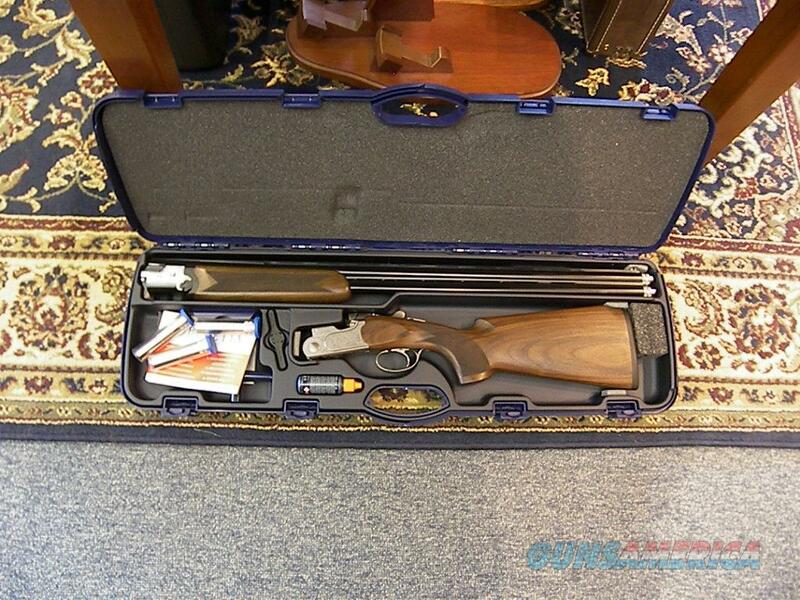 30" Lady's Sporting Clays gun. This gun features the new flat tapered rib Steelium barrels with extended Optima HP Chokes. Monte Carlo stock 13-3/4" with reduced pistol grip radius for a women and small tapered forearm. This gun come in a Beretta hard case with all the accessories. Please give us a call with any questions at (585)381-3511. JTH Agency.